Everyone dreams of having a humble abode, a home sweet home. No matter the size of the home, a home is a perfect haven, a sanctuary we love to have. And if a home is a dream then the kitchen is the colour of that dream. 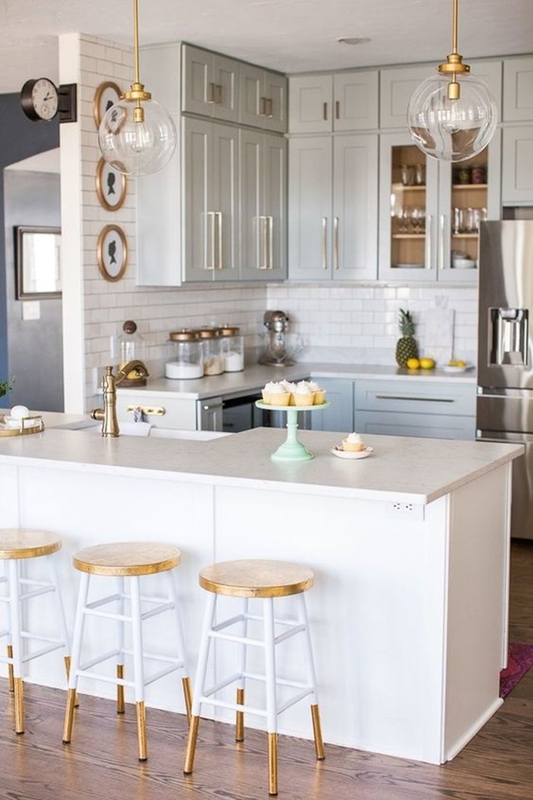 Some are lucky to have a kitchen that’s a chef’s dream but you don’t get disheartened if your kitchen is teeny tiny BECAUSE these Productive Small Kitchen Ideas on a Budget will tell you how to enhance it smartly. 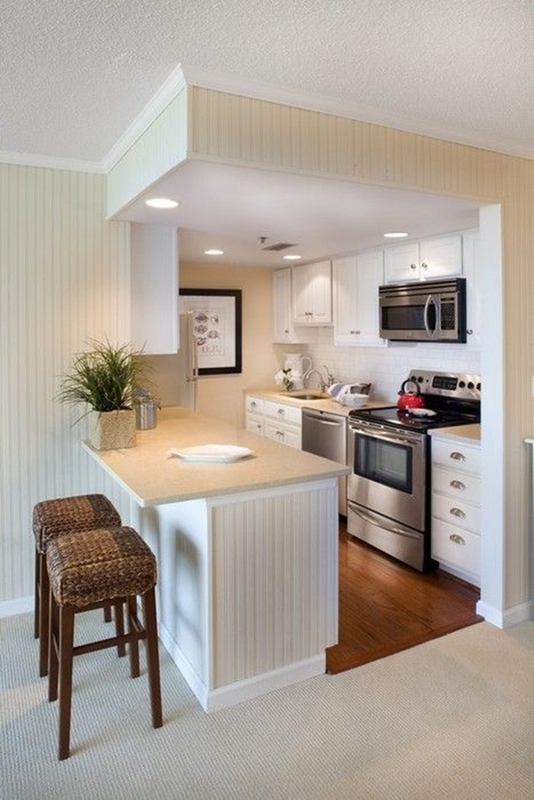 Just because your kitchen is not big and spacious it doesn’t mean you can’t have the kitchen of your dreams. 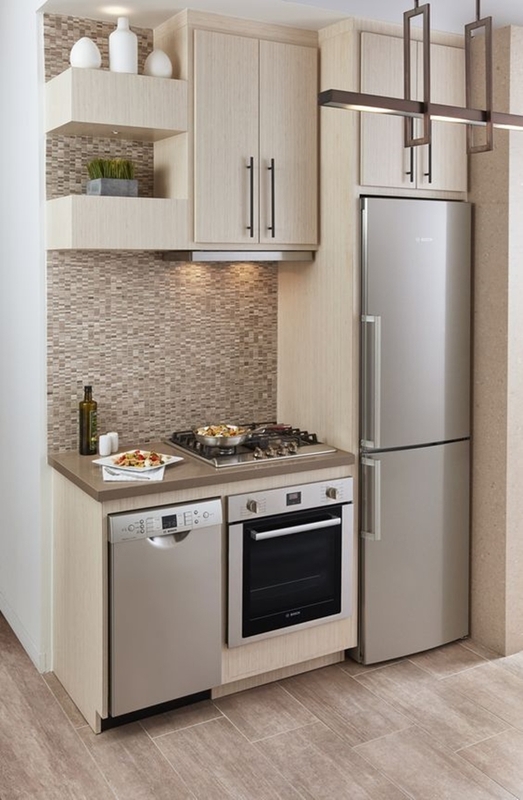 With proper planning and smart use of the space, you can create a lovely kitchen space where you not just can cook but have a little gathering while grabbing some snacks. The floor pattern matters a lot when you’re aiming to make a room look spacious. Overlarge diamond floor patterns will come to the rescue in such times. Some broad horizontal striped pattern will do the trick as well. A huge rug with stripes can also be used to make the kitchen look bigger. 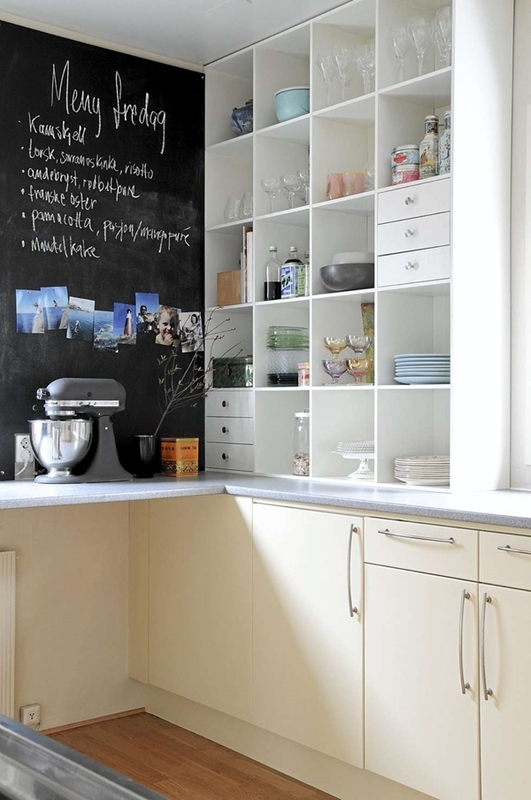 Cabinets are a necessity in the kitchen but they also take up space and make the room look more cramped. So if you can manage then take off the door from the cabinets. If it’s not something you are much keen to do then opt for glass doors instead. It will create the illusion of a larger space. 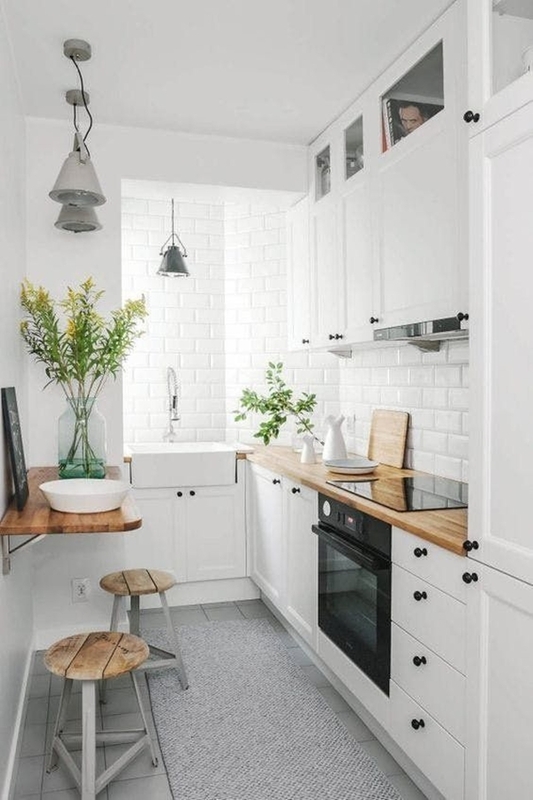 This is the thing that won’t cost you a single dime but still will do the job of making your small kitchen look perfect and spacious. 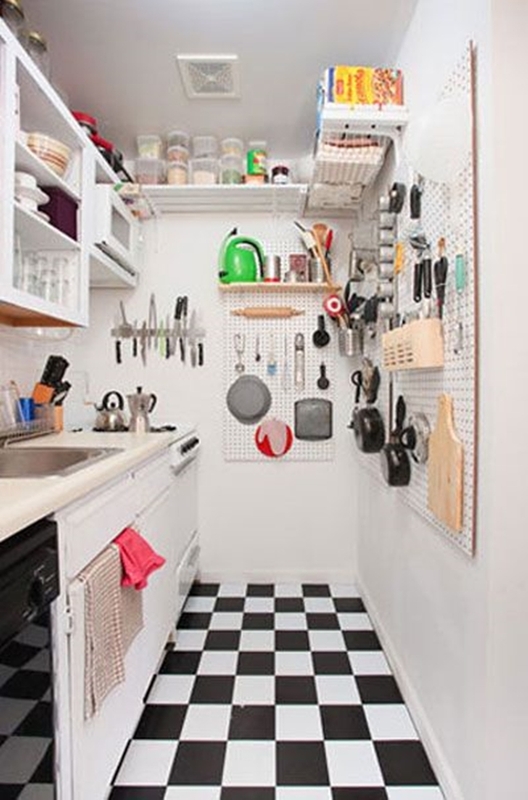 Get rid of the things that are of no use and make sure the all the kitchen things are placed in a perfect alignment. Keep the counter clutter-free as well. You can add a pot of plant near the window to give it a bit of vintage feel. Some small kitchens don’t have the space for a kitchen island but if you have enough space to fit in one then better choose an island that will not just serve its own purpose but will help in other issues as well. A vintage cabinet can serve as an island as well and if it has shelves or drawers then it can also be used for storing purpose. You can even use a soft table as a kitchen island that will fit perfectly into your budget. 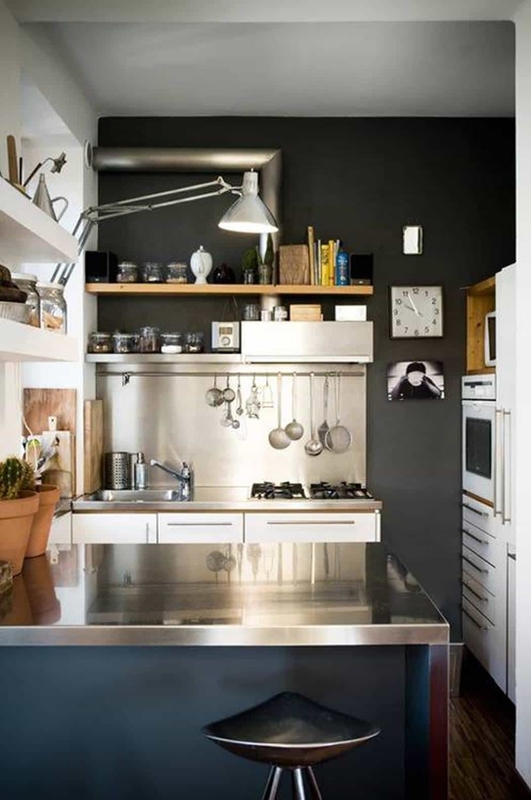 Other options are a floating kitchen island, drop leaf island or a rolling kitchen island that is actually cool. 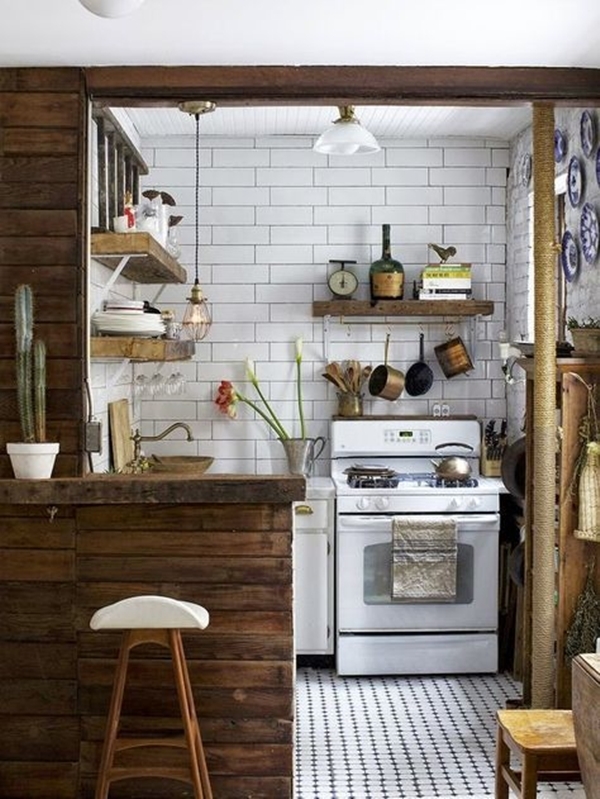 You can maintain the kitchen space by carving out shelves. The recessed shelves will neither take up the airspace nor the floor space and will give you a perfect storage space. These recessed shelves blend in easily with the ambiance and look really great. 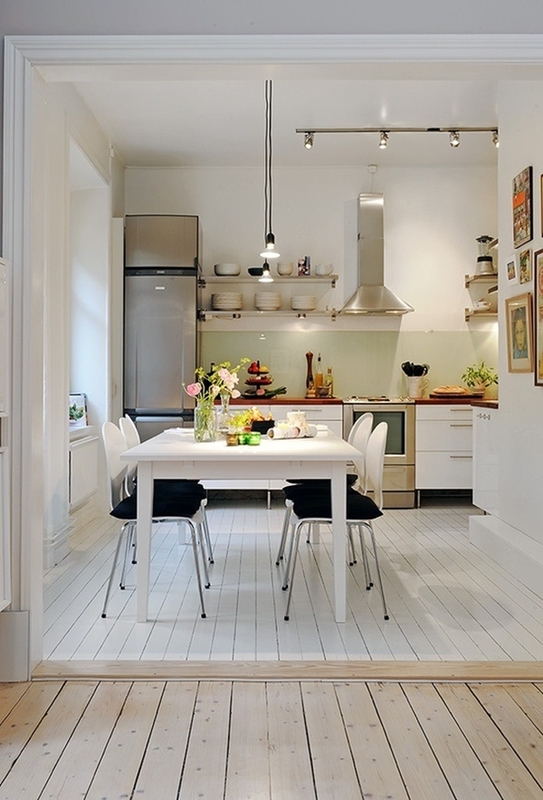 If there’s a dining room adjoining the kitchen then knock down the wall between them. It will open up the kitchen space and will be a great DIY project for you. 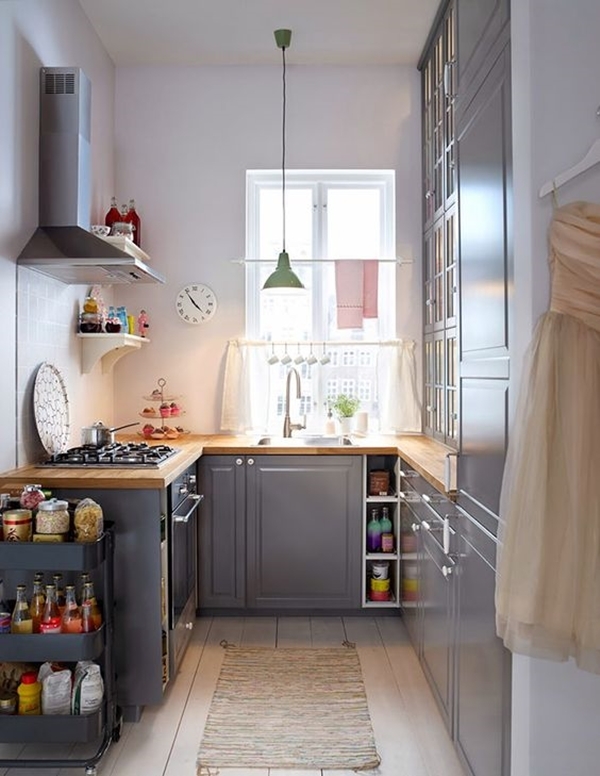 The open plan arrangement looks classy and will give you more options to place the refrigerator in a different corner and hence giving more area for storage purpose. 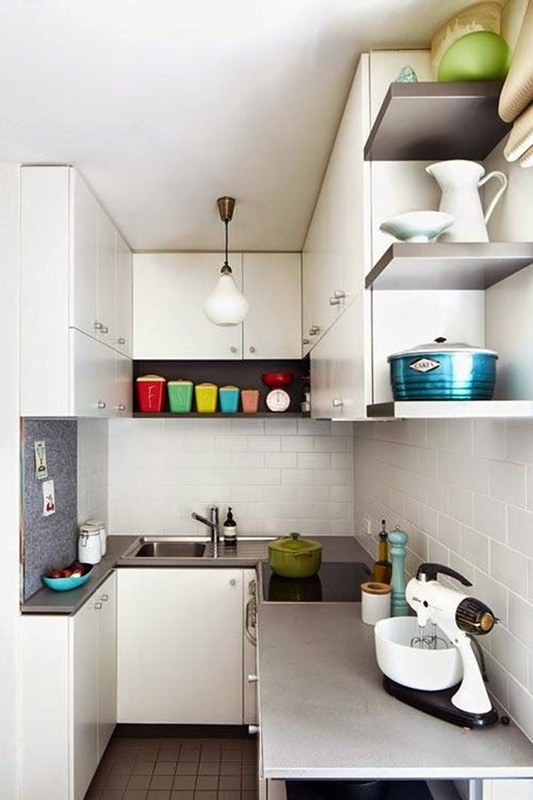 How to make a small kitchen look bigger? There are tricks to make it possible and will leave you all amazed. The first thing you must do is take off the curtains from the windows so the light can stream in. 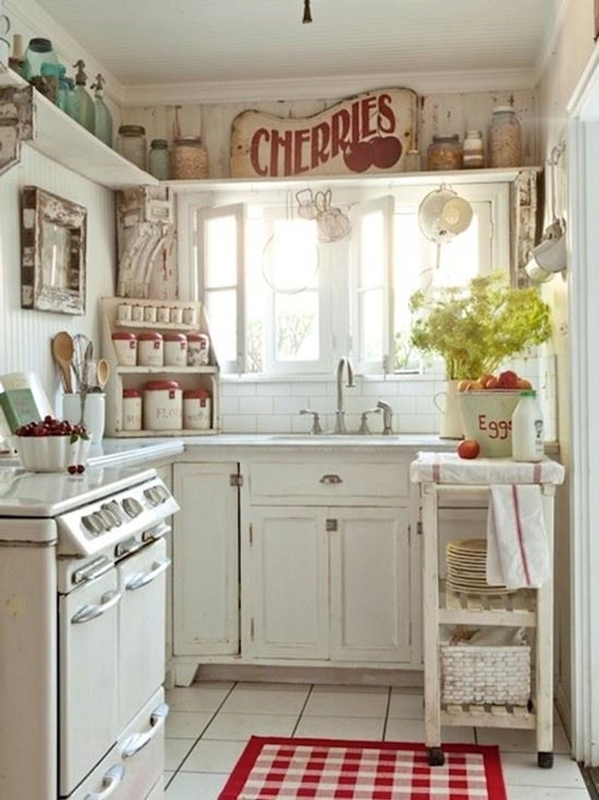 The natural light will make the kitchen space look wider and spacious. Stick to a single colour scheme so that space won’t look crammed with different colours splashed here and there. Also, make sure that you de-clutter the surface after every while. 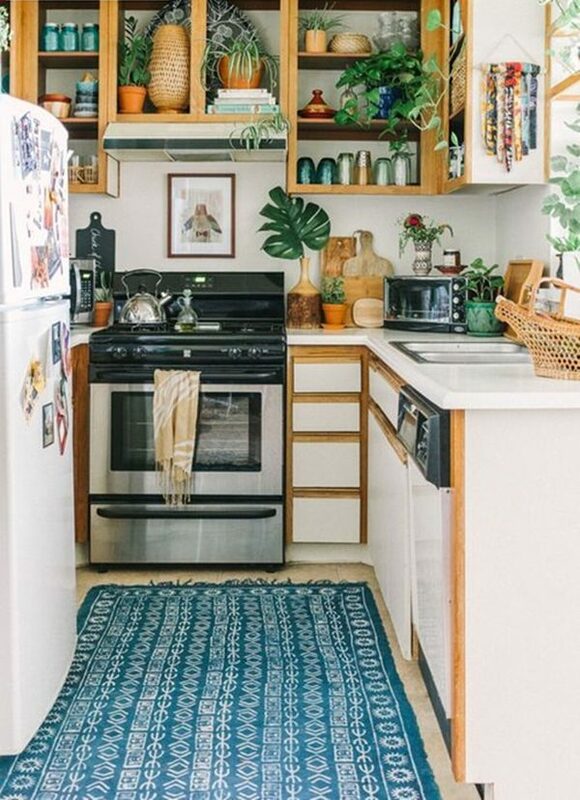 That will certainly add some free space to your kitchen. What color to paint a small kitchen to make it look bigger? The eyes see what you make them see. It’s like the illusion we create with stripes and colours that makes one person look slim or add a few more pounds to one’s appearance. The same trick can be used with the kitchen. 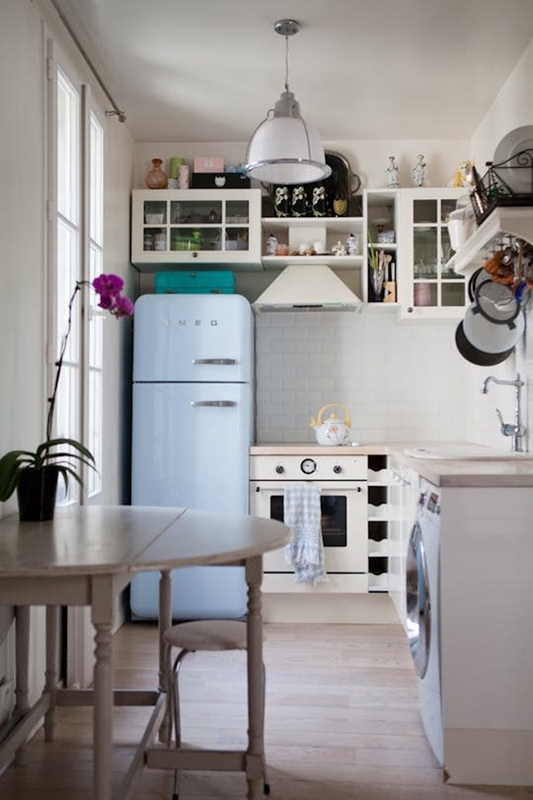 Some colours will make it look spacious while some reduce the size of the kitchen more than it already is. Neutral shades are your best bet and white is more than any other. 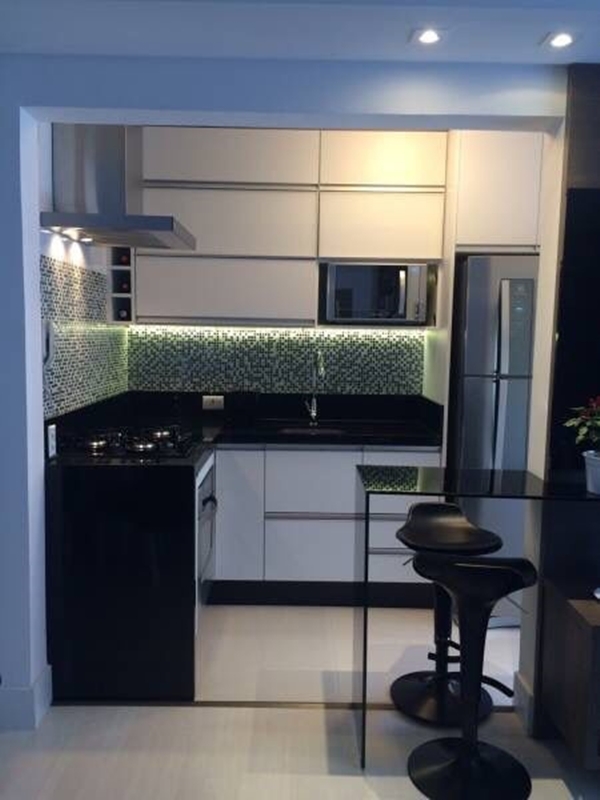 It reflects light and makes the kitchen appear spacious. Keep it as the major hue and add a texture of different colours or shades of white. Going monochrome is also a great idea. 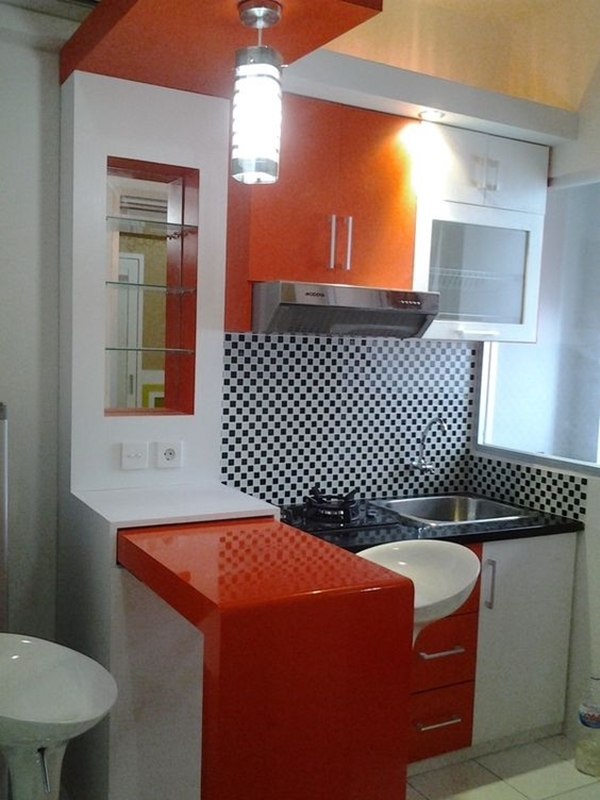 If white is not your thing then feel free to go for some bold colours like red, orange, yellow, green or blue as well. An accent wall idea is also a brilliant one since a single wall splashed with a deeper shade than the other walls makes the kitchen look more spacious. 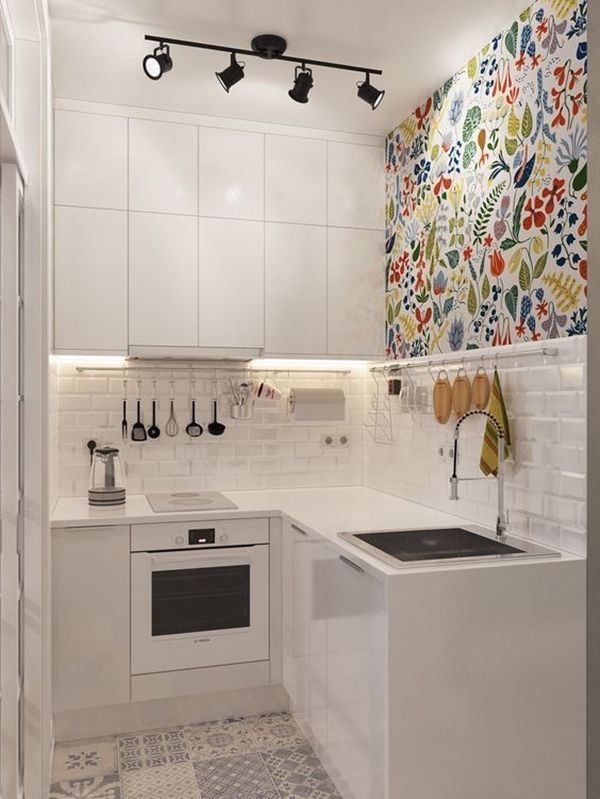 In short, keep the kitchen clean and clutter-free, go for a single colour scheme and make smart storing choices with movable furnishings and your small kitchen would be a perfect space for you.